My copy. Also the best cover. As some of you may remember, I have read this book before. I read it at least 10 years ago, maybe more, and it was one of the books that got me excited about reading more books and writers from my own area. It was also one of my picks for Triple Choice Tuesday on Kim’s blog, Reading Matters. It has been sitting on my re-read pile for months now, and I have Sarah to thank for the little nudge to finally get to it. Thomas H. Raddall came to Halifax from England in 1913, at the age of 10. Five years later, his father was killed in the war, and Raddall enlisted as a wireless operator at the age of 15. For 4 years he served as a radio officer along the coast of Nova Scotia and on Sable Island. 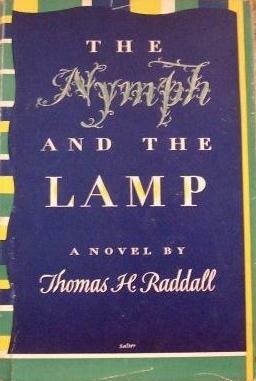 The Nymph and the Lamp was inspired by this experience, most of the book being set on Marina Island (a fictitious version of Sable Island) in the years 1920 and 1921. Raddall was also in Halifax at the time of the Halifax Explosion, and references are made to this event in the book. Marina Island is a small island/giant sand bar off the coast of Nova Scotia. It’s famous for its ship wrecks, and as a result, there have been lighthouses and lifesaving crews placed on the Island year round. Since wireless telegraphy came about, there has also been a station set up on the island to help with communication between ships and the mainland. Matthew Carney has been in charge of the station for the last 10 years. You can’t help but like Matthew Carney; a gentle giant, boyish and shy. Kind of like a 46-year-old Matthew Cuthbert, but larger and more rugged. Matthew Carney is a legend among the wireless operators and the other inhabitants of Marina Island. Most of the young men who serve there, are biting at the bit for their chance to move on to a station on the mainland, but Matthew has been there now since 1910. He is leaving for a 3 month stint on the mainland only because he has some business to take care of. But his home is on Marina. In fact, when he gets off the boat in Halifax, he feels like he doesn’t belong; his clothes and hair are 10 years out of date, and people these days seem to always be in such a rush. It will be a relief for him to go back. Carney stared himself. Everyone looked queer, especially the women – skirts up to their knees and hats down over their ears. Most of them seemed to have cut off their hair. Some of them looked like young men. What the deuce! Even the streets looked queer. All those motorcars! On his way to Marina in 1910 he had counted six on a Halifax street and thought it marvellous. Now they were everywhere, dodging among the horse traffic, blowing horns, giving off a great stink of gasoline. Even the people on foot seemed to be in a new and frantic hurry. But then he meets Isabel Jardine. She tries not to like him, but she can’t help but feel a fondness. He is thrown off-guard by this event, but now that he has met her, he doesn’t want to let her go. He even suggests finding a place to live on the mainland knowing that she would probably not do well on the island. But, for several reasons [1) something happens to Isabel that prevents her from wanting to go back to her own life, 2) the boat to Marina is leaving the very next day, and 3) the fact that at the age of 29, Isabel is practically an old spinster] Isabel ends up going to Marina with Matthew at the last minute (this is a big deal when the boat to Marina only goes out and back every 3 to 4 months); so last minute that they don’t even end up marrying. She just puts on her ring and becomes Mrs. Carney. Because of their haste, Isabel hasn’t had a chance to discuss it or think it over, so she has no idea what to expect. But if Matthew loves it so much, how bad can it be? The surf on the beaches, never still, now reached a violence that Isabel found thrilling and terrible. It was weird to sit in the watch room, to hear a great sea break on the invisible north beach, and to see the oil quiver in the glass bowls of the lamps… Great waves in ranks like grey-clad regiments marched up from the south, moving with a ponderous discipline to the foot of the beach, where they broke their ranks and sprang as if determined to smash this puny barrier once and for all. It’s not long before she starts to regret her hasty decision. She often feels alone and at a loss for something meaningful to do. For the first little while on the island she’s cold and reserved, and Matthew is sleeping on the couch. After he takes her to her first house party at the McBains’, she warms up a bit and realizes things don’t have to be so bad, and invites Matthew back into the bed. But this renewed passion only lasts until winter hits when everything changes again. Matthew starts acting strangely, and Isabel takes it to mean that he is now the one regretting what they’ve done. Once again, things cool off between them. On windless nights the lagoon like a sheet of black glass reflected the glitter of all this wealth, so that there were two skies, one overhead and one at her feet, divided by the thin black line of the south bar. At such times the prolonged stargazing gave her a dizzy sensation of suspension between two worlds, to neither of which she belonged. But that’s not where the story ends. 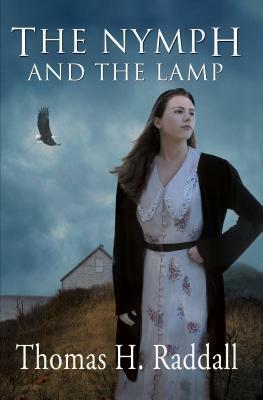 Tragic events result in Isabel leaving the island on her own and ending up living in a town in the Annapolis Valley. She has decided to leave the Marina episode of her life behind her and settles into town life nicely; even happily. But, of course, we cannot escape our lives so easily, and it doesn’t take long before someone from her past finds her. All I know about love is that it made me miserable. And I’ve been quite happy without it. At this point, the controversial twist is revealed (I would never have thought it controversial if I hadn’t read the introduction to the book – to me it makes perfect sense), and the story swiftly ends. As it should. After we finally know what is going to happen, we wouldn’t want it to be drawn out any further. Yet she moved, and as she moved the dim bulk of the land slipped away behind the rain like a shadow, an illusion after all. With it went all those other illusions: the scrabble for cash that could not buy security, the frantic pleasures that could not give content, the pulpit-thumpings that could not summon virtue, the Temperance Acts that killed temperance, the syncopated noise that was not music, the imbecile daubs that were not art, the lavatory scrawls that were not literature, the flickering Californicatiions that were not drama, the fortunes that grew upon ticker tapes, the statesmanship that was only politics, the peace that led only toward more bloody war, the whole brave new world of ’21 that was only old evil with a mad new face. Like an aging empress quitting with dignity a palace given over to the Jacquerie the old ship departed from the continent and trailed her long white gown across the green fields of the sea. Normally I wouldn’t fall so hard for a book that’s classified as a love story, but there is so much more going on in the book besides the story of Matthew and Isabel. There are the other characters who help to set the story in a time after the war, as well as show the contrast between the places that have kept up with the times and the ones that haven’t. The people living on the island are stuck in the first decade of the 20th century, the women still wearing the long dresses and the big hats. The other main operator at the station with Matthew has had his share of adventure at sea and is content to stay put for a while; the aloof and mysterious Skane, who, whenever I picture him now, I think of a young Severus Snape. In Halifax, there is the Landlady of Isabel’s boarding house and the employees of the radio office where she used to work. The Captain of the boat that brings supplies to Marina is timeless, and has been up and down the coast of Nova Scotia hundreds of times. He knows no other life and has no wish to stop. Isabel’s time in the valley, and the people she meets there, illustrate the economics of the area (and the continent) in the time right after the war. The settings, the weather, and the changing seasons are their own characters in the book. You don’t have to have visited any of the places to get a vivid sense of what they are like; the wild ponies and sand dunes of Sable Island, the bustling seaport of Halifax, and the sultry heat of summer in the valley. July was a month of burning heat in which the wine-stream shrank in the river bed and many of the smaller brooks dried up. For days and nights on end there was not a stir of wind, not the whisper of a leaf. The air over miles of lush farmland quivered and the long ranges of hills to the north and south wavered gently in the sunshine as if stirred by the breath of Glooskap, the ancient Indian god whose habitat they were. In the woods the mayflower was in bud, and in sunny places a few in blossom, and children picking them on the way to school, and teachers like the young Isabel Jardine accepting them and sniffing the fragrance that every Nova Scotian knows to be the finest in the world. When you put on the phones it was as if your inner self stepped out of the bored and weary flesh and left it sitting in the chair in that barren room. For a space you were part of another world, the real, the actual living world of men and ships and ports, in which Marina was nothing but a sandbar and a trio of call letters in the signal books. Whistling, growling, squealing, moaning, here were the voices of men transmuted through their finger tips, issuing in dots and dashes, speaking twenty languages in one clear universal code, flinging what they had to say across the enormous spaces of sea. [an SOS] When this took place at night, with its enlarged range, the great silence spread like an infection all the way from Labrador to Florida, and you felt in that enormous emptiness hundreds of alert men on the coast and in the ships, listening, straining, waiting to catch the voice of distress. It was magnificent – all the traffic, all the urgent business of that vast reach of sea and seaboard help up and silence because, somewhere in the darkness, a few men were in peril. Thomas Raddall’s story-telling is masterful. Even my second time through, the book sucked me in and all I wanted to do was read it. 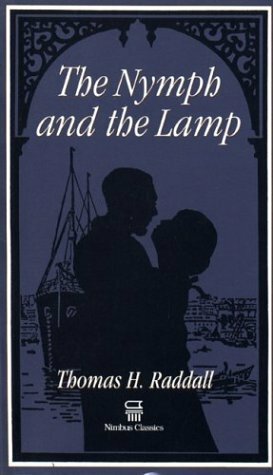 It’s one of those books that, while reading, you don’t really care what or how many books are awaiting you on your bedside table; you’re happy to be in Raddall’s world for as long as it takes. The rich essence of the valley, the after-harvest smell of the fields and the wet pungency of the mountain woods, had faded in the stuffy varnish and coal fumes of the train; and that had given way to the city smell, that compost of soot and sweat and gasoline, of cloth and scent and paper, of hot food and warm flesh and stale human breath which hung in the streets and poured from the doorways of shops and offices. And now all that was gone, too. Now there was only the breath of the sea, the sharp clean reek of salt and kelp, rich in its own way, distilled from thousands of square miles of untainted ocean for the ventilation of the world. 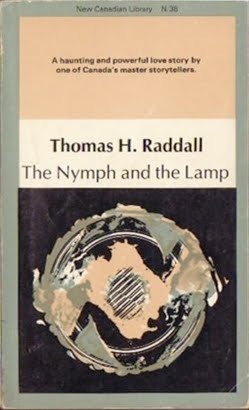 Having just sung the praises of Raddall’s story-telling, I have to confess that The Nymph and the Lamp is the only book I have read by him… yet. He’s written many others, but it’s like going to a restaurant and ordering what you had last time because it was so good. I assume his other books are also good, but I don’t actually know that for myself, and I’ve been a little nervous to find out. But, considering that 3 of his books have won Governor General’s awards, and there is both an Atlantic Canadian literary award named for him and a Nova Scotia Provincial park (where my son learned how to ride his bike), my hopes are high, and I am looking forward to reading more. 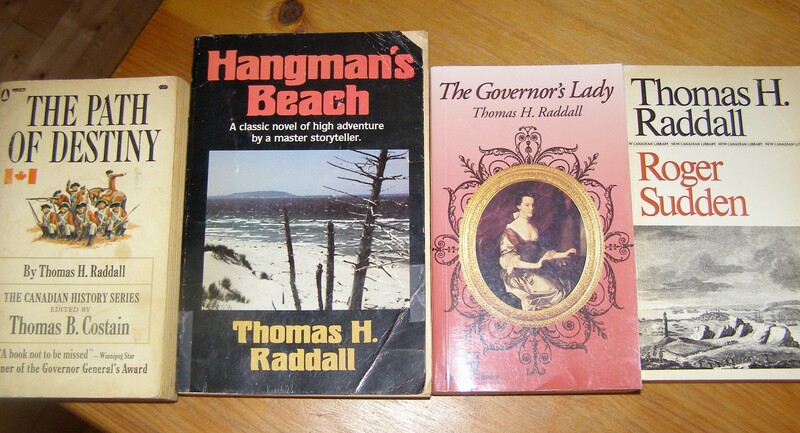 Still to read from my own books are Hangman’s Beach, Roger Sudden, The Governor’s Lady, and The Path of Destiny. Which should I read next? Or maybe I should go with one I don’t own? Elsie’s story, a child’s life on Sable Island in the early 1900s. It’s nice to revisit a favourite book every now and again and I’m glad to hear you enjoyed it just as much the second time around (that’s often a risk with a much-loved book). Did you feel differently about any of the characters this time? Hmm… good question. I think I did feel differently about Isabel. Last time, I didn’t like/couldn’t understand some of the decisions she made, but this time I felt a lot more sympathy for her, and could understand her better. I also thought a lot more this time about the sea captain on the boat that supplies the island – he’s a great character. I don’t think I gave him much thought at all last time. Sounds like a great story! I especially like the descriptions of the Valley. And that bit you quoted about mayflowers does sound exactly like Montgomery. You’ve made me want to put this novel at the top of my list. I’ve read Hangman’s Beach and The Governor’s Lady and enjoyed both of them immensely, but I haven’t read this one yet, so I’ll borrow it from my parents. I’d vote for Hangman’s Beach for your next Raddall. I think I’m definitely leaning towards Hangman’s Beach. Until I went looking, I didn’t realize I had 4 more of his books – they were all in different places. I’ve got them together now, so they’ll be easy to find! Some aspects of the book did remind me of Montgomery in a way. He’s very descriptive (in a good way), like LMM. And LMM also writes love stories that don’t feel like romance novels. But I think it’s also in the setting – both writers lived in the Maritimes and wrote about the Maritimes. 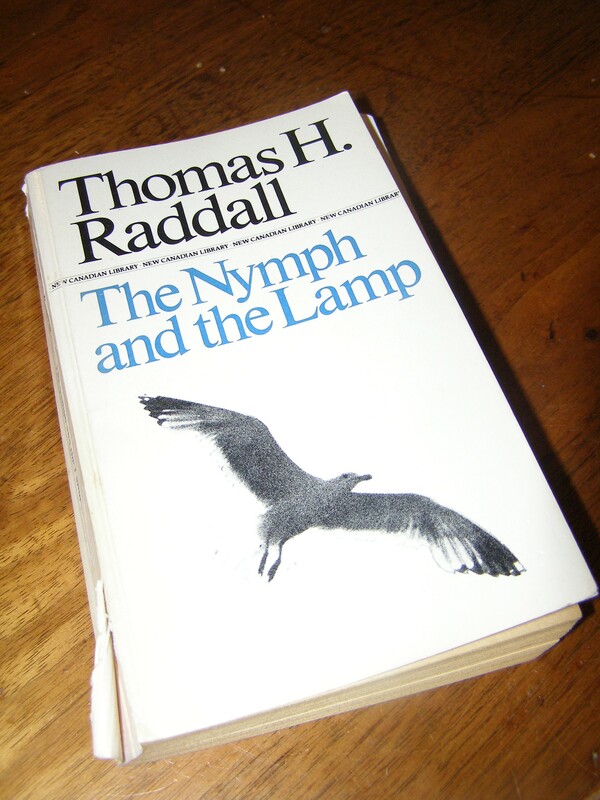 And, although Raddall is a man, I thought his depiction of Isabel was sensitive and respectful. I don’t know if I could say the same for Hugh MacLennan (in Barometer Rising), who is also from Nova Scotia and wrote his books around the same time as Thomas Raddall. I love a book with a setting that feels alive and is a character in itself. Glad to hear you enjoyed the book on a reread. I almost never reread books and the ones I do are very special to me. That last quote is stunning. The book is filled with beautiful language such as this? Must be a wonder and delight to read. I have never heard of this book, but clearly I’ve been missing out! Don’t you look forward to the reread of a book you’ve loved? Most of the time it does not disappoint, and I often find something I’ve overlooked or a new perspective as I may have changed a bit in the interim. I don’t re-read very often, but when I do I’m rarely disappointed (even though I worry every time that I will be). After more than 10 years, I did have a new perspective on this story. It makes me want to re-read more often! This book sounds really good because of the combination of characters, history and setting. It is! He knows how to weave it all together (well, in this book he does, anyway – I’m hoping to read another one of his soon to compare!). This sounds lovely Naomi, I love when the setting and surroundings are integral to a book. And yes, your cover is the nicest! Reading about this author for the first time. The book must be really good if you wanted to re read it. Yes, I love this book. Part of it, for me, is the setting – it’s so familiar and almost comforting. Have you read The Light Between Oceans? I was reminded of it a little bit while reading your review. I’m glad that you enjoyed your re-read. It sounds like it’s a very atmospheric read. Lovely review – you’ve really given a flavour of the beautiful descriptive writing. And I’ve secretly been in love with Matthew Cuthbert for most of my life… oh dear! I’ll have to see if I can find a space for this somewhere, I think! You sold me at “Kind of like a 46-year-old Matthew Cuthbert, but larger and more rugged.” This sounds fantastic! One of my favorite books when I was younger – time to re-read it, I think. Thanks for reminding me, Naomi! It’s nice to hear from others who love this book, too. I hope you get a chance to re-read it sometime! You’ll have to read it and find out! What a great recommendation! I have a goal to work my way through the NCL but keep getting sidetracked. I like the sounds of this. Something about it (island setting?) put me in mind of Frank Parker Day’s “Rockbound” which I adore. Thanks for the review! I wonder why only one of Raddall’s books is on the list, and why it isn’t one of his others? You should just read this one in place of the other! I didn’t know anything about any of that. Thanks for the link! So interesting! Sold! I’m itching to read this now. The simultaneous time period expressed via location, not science fiction, sound intriguing! This book sounds really lovely. I love love stories that are a bit more quiet, and I love anything set on the coast. You just might like this one, then! Let me know if you decide to read it! This sounds fantastic. I like that you added all those covers. Even the ugly ones! There are probably a few more, but these were all the ones on Goodreads.